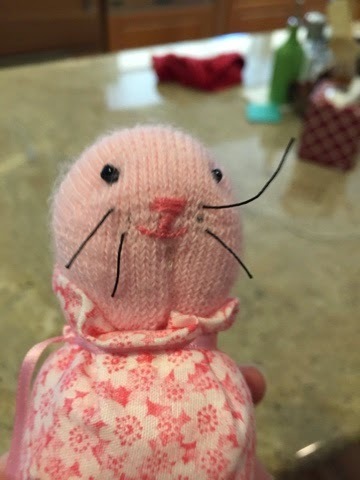 A Happy Carrot: sock bunny? 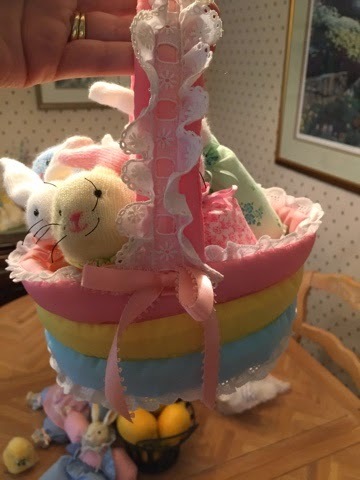 What do you do when your blonde-haired angel-faced 6 year-old niece wants you to make bunnies in a little basket like the ones Grandma has? 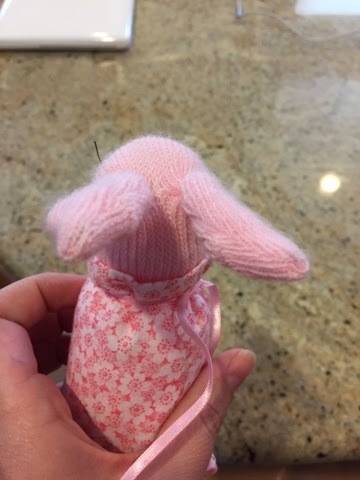 Well I'll tell you what you do: you run over to Grandma's (your mom) house to snap some quick pictures of these little sock bunnies. Now....I have no idea how to make these. I remember being enamored by them when I was a child. And funny enough, my mom can't remember how she made them either. It was back in the days when she sewed, and she's outgrown that now. Does that mean that someday I'll outgrow this crafty thing? Hmmmm. We'll see I guess. So if anyone out there has some suggestions for me, I'd appreciate it. Because not only does she look like an angel, but my niece is pretty darn sweet as well, and I don't want to disappoint her. I'm sure Pinterest can help me out too. I'll keep you posted.